The Jet™ is an exciting addition to D-Tech’s line of serveIT™ self-checkout systems. 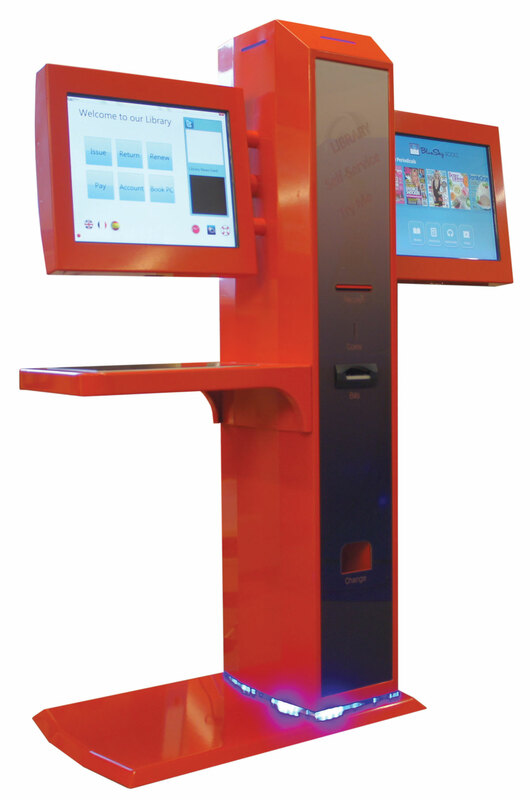 The Jet™ kiosk is designed to maximize the functionality of self service in a library while minimising floor space. 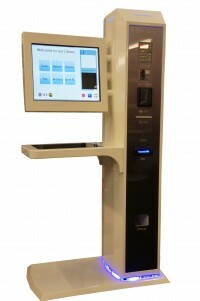 Jet’s™ basic configuration is a self-service kiosk that can checkout barcoded material as well as RFID tagged items. Additional options include a PCI compliant credit card terminal as well as a coin and note/bill acceptor that gives change plus Apple Pay™. Jet’s™ large touch screen monitor is user friendly with easy to understand instructions to assure patron success. The large checkout area for material placement is sure to delight patrons with a lot of materials to checkout. The Jet™ can also be configured to have two patron touch screens to further save floor space. 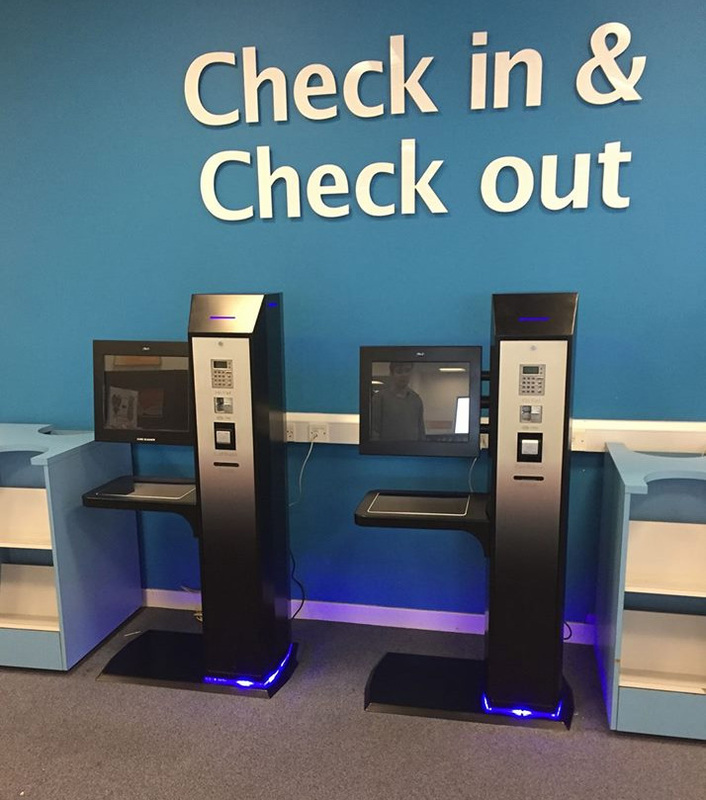 Options for the second touch screen include paying fines and fees, reserving PC’s, looking up library and city information as well as being used to return materials either into a bin or a D-Tech sorting system. D-Tech’s Jet™ was designed with the future in mind, and that future is now!